The worrying number of drownings in the Canaries has prompted a campaign to heighten awareness of the dangers of the sea, particularly for foreign visitors unaccustomed to the local currents and hidden hazards in certain beauty spots. 03.12.2015 - Two swimming deaths on the same day in late November, one in Tenerife and the other in La Palma, brought to 51 the total of drowning tragedies for the year so far and led to fresh warnings by the authorities for people to treat the water with the utmost caution. “We need to remember that our beaches, of which there are 150 around the islands, are generally safe. However, it is also true that in winter the likelihood of fatalities increases considerably, partly due to the type of tourist” explained Sebastián Quintana, from the company behind the media campaign promoted by the Canarian government to alert the public and visitors to the dangers. Statistics show that four of every five people who drown in the Canaries between November and March are foreigners, many of them elderly. 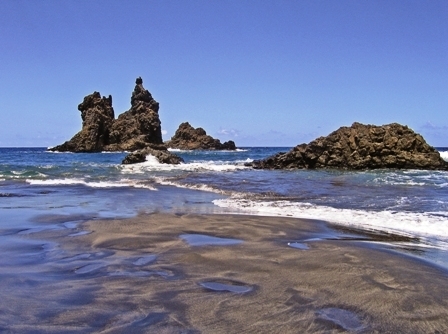 The campaign, called The Canaries: 1500 km of coastline, includes audiovisual materials in three languages (Spanish, English and German) and features contributions from a range of public and private bodies, including the Red Cross and the hotel sector. Produced with news.CMS in 0,0653 seconds.